GPS users take note; our latest edition Walk! 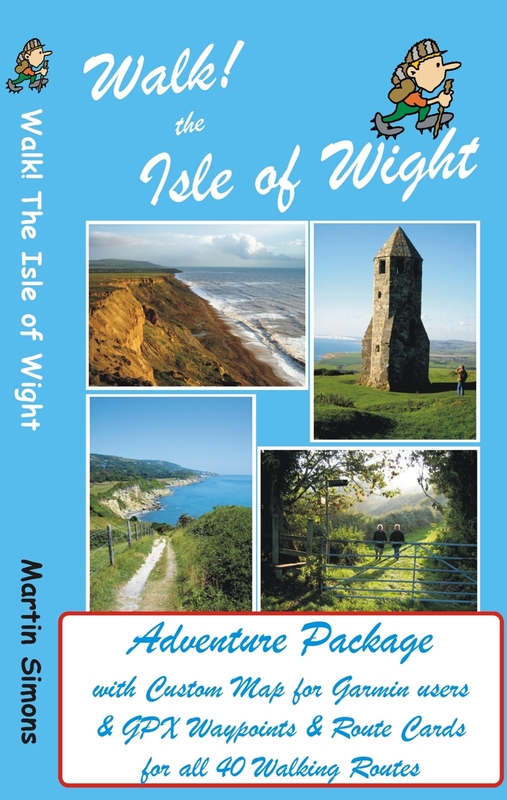 The Isle of Wight walks have been transformed into pdf route cards and re-packaged with ‘OSlike’ digital mapping for the Isle of Wight and gpx waypoints. This is a great time to explore the Isle Of Wight; school holidays are almost over and there’s always the chance of some late summer sunshine. There’s a good article on the Isle Of Wight in ‘Coastal England’, a supplement with yesterday’s (15 March 2014) Weekend Telegraph. The article homes in on the rich history of the island and offers plenty of ideas of things to do. 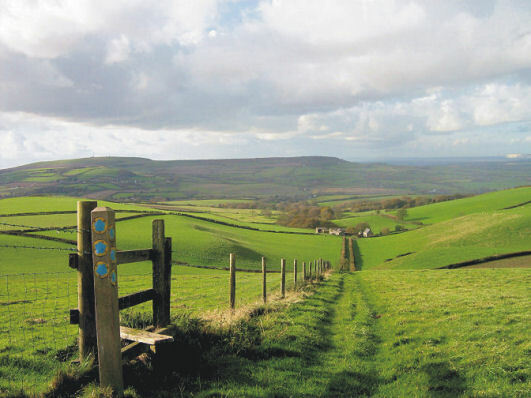 For such a small place it has a wealth of festivals, including the Isle of Wight Walking Festival. The final map in the four-map series of OSlike Custom Maps for Garmin is now available to download. See http://www.dwgwalking.co.uk/garminOSlikemaps.htm for full details and how to buy. 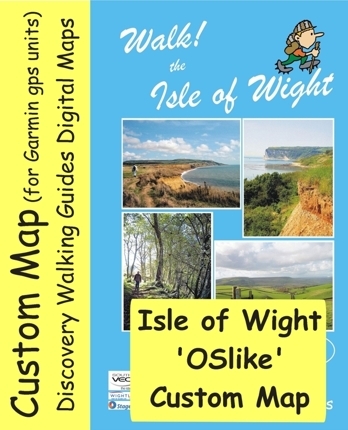 Just completed – OSlike mapping, Isle Of Wight, for Garmin users. 25k scale OSlike detail with all Walk routes highlighted, numbered and arrowed. £3.99. Easy to load onto a microSD card to clip into your Garmin* so you have OSlike mapping on your gps. 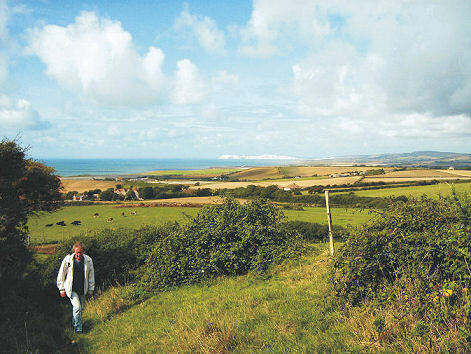 Here’s your glorious view (right) while on Walk 19 Chale Bay. 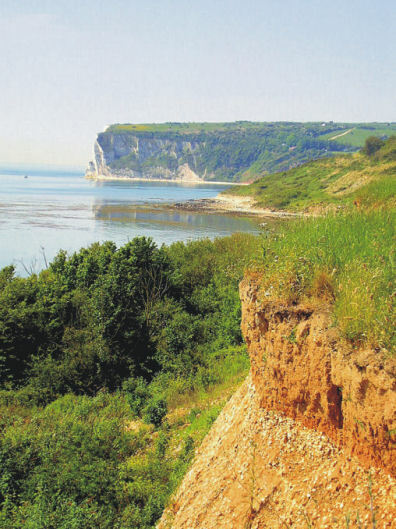 The Isle Of Wight Walking Festival (3-18 May 2014) gets more popular every year. But if you want to avoid big crowds of walkers and visitors, it might be better to go outside these dates.